How does the LSP.expert Affiliate Program work? With our Affiliate Program, you can earn money for each friend you convert to LSP.expert. For every friend who becomes an LSP.expert user thanks to you, you will receive an amount of money equivalent to 2 months of a monthly subscription. It means you can earn an average of €30 for every friend who joins. 1. 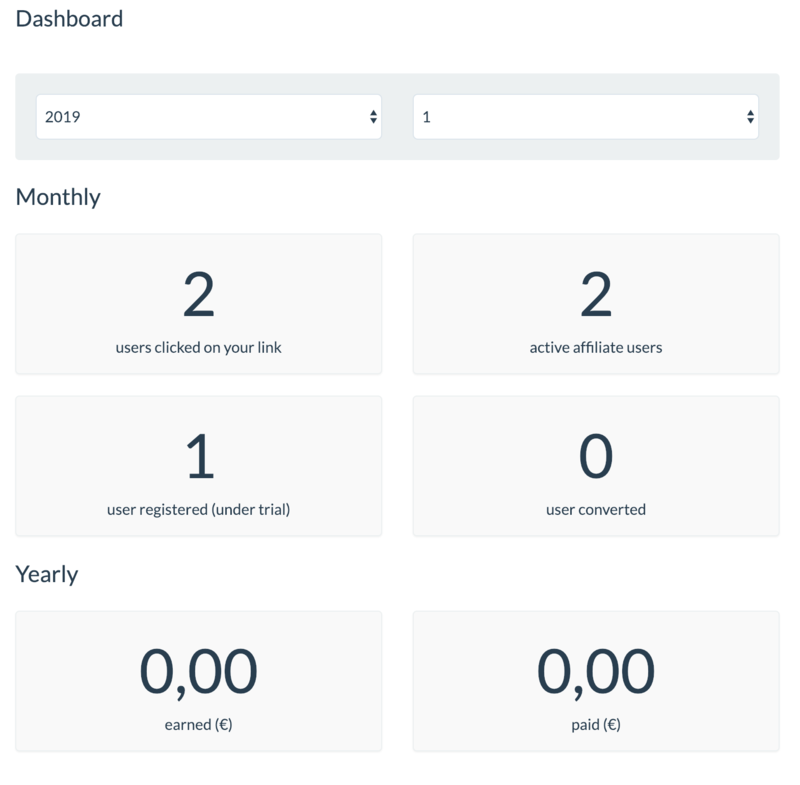 Register to our Affiliate Program under Settings > Affiliate Program. 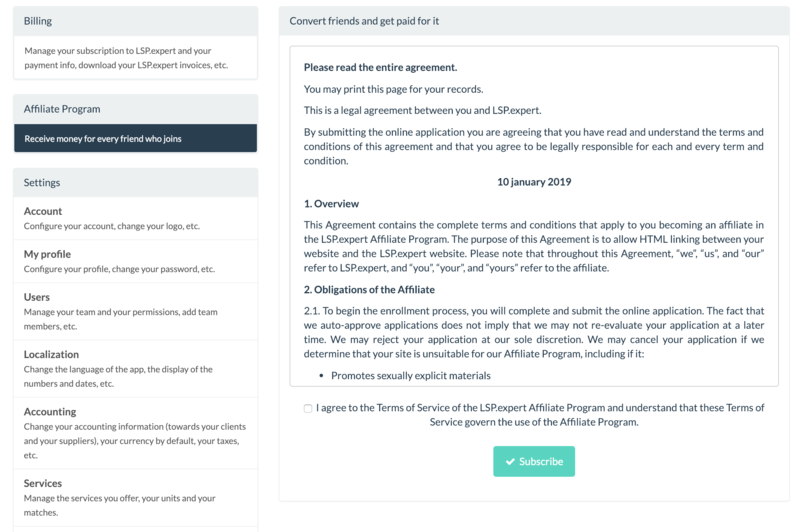 You will have to read and agree to the Terms of Service of our Affiliate program. 2. You will receive a unique link to share with your friends. When they click on it, a cookie will be stored in their browser (for a period of 30 days). 3. If a friend registers for a free trial during the next 30 days, your affiliation is validated. 4. If this friend takes a subscription to LSP.expert (even long after the trial period), you will receive an email telling you that you can invoice us an amount equivalent to 2 months of a monthly subscription. 5. You send us the invoice and we pay you!